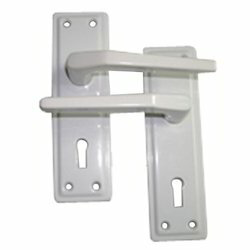 Prominent & Leading Manufacturer from Aligarh, we offer aluminum door lever handles and d handle. 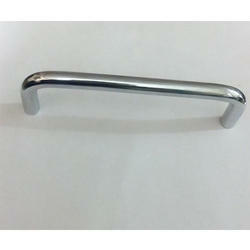 We also offer our clients a wide array of Aluminum Door Lever Handles with White Powder Coated. As these Aluminum Door Lever Handles are powder coated with premium quality white colored powder these are attractive in look and are highly resistant from rust. These Aluminum Door Lever Handles are the result of hard craftsmanship of our experts. These Aluminum Door Lever Handles are widely used in various domestic, industrial and commercial applications. Looking for Door Lever Handles ?